In the midst of building momentum for LGBTQ rights, the death of a 15-year-old boy in La Grande brings into sharp focus the still urgent need for change. 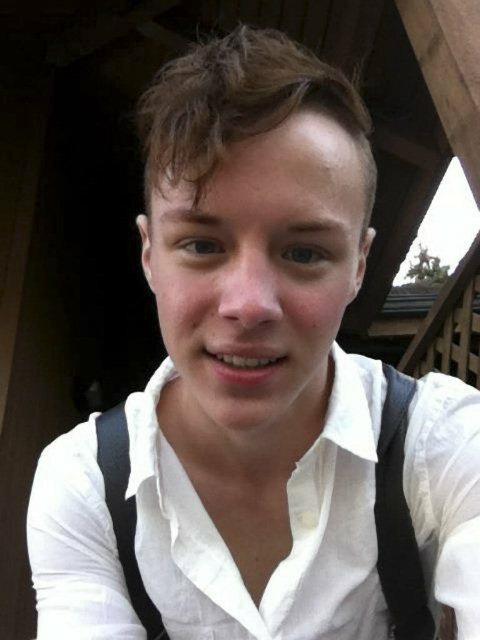 Jadin Bell was openly gay and a member of the La Grande High School cheerleading team. And although his high school received a “gold star” rating from the Oregon Safe Schools and Communities Coalition, he still suffered anti-gay harassment at school. The sophomore, who has been described as well-liked and a good friend, seemed to be trying to survive. The week before he attempted to end his life, he and his father visited with the school counselor to talk about the bullying. But as his hauntingly vulnerable Twitter feed reveals, it wasn’t enough to keep dark thoughts at bay. Jadin Bell was being bullied at school before he took his own life. And so, on Jan. 19, Bell hung himself from a Central Elementary School play structure. A passerby intervened and the boy was life-flighted to Doernbecher Children’s Hospital in Portland, where he was placed on life support. About a week later, when it was clear he would not recover, he was taken off support. On Feb. 3, he finally passed away. If Bell left a suicide note, it hasn’t been released, but his Twitter posts the week before he attempted suicide show he was suffering. The night before he hung himself, Bell seemed to be wrestling with whether or not to go through with it. While no one seems to know exactly what kind of darkness Bell was facing, there aren’t many places for a struggling gay teen in La Grande to turn. But there are no Pride celebrations in La Grande. The nearest social justice organization — Umatillla Morrow Alternatives — is based in Hermiston (easily a 90-minute drive) and focuses largely on providing HIV-related health services to minority communities. There nearest PFLAG chapter is an hour away in Pendleton. And while the organization has made headway in its 10-year history, it is still struggling to make inroads into communities like La Grande. Alston says UMA has worked with the GSA at Eastern Oregon University in the past to provide resources for La Grande youth, but that there are not any programs currently being offered. It is a difficult place to be an LGBTQ youth, he says, because there are few adult role models. Even if youth know of an LGBTQ adult, chances are good that adult isn’t out. Those who loved Bell are hoping to change that. That’s why family friends Bud Hill, Heather Martin, and Jayne Baremore are spearheading an anti-bullying organization called Faces for Change. The nonprofit is also motivated by the recent suicide of a 16-year-old La Grande girl. School district Superintendent Larry Glaze told the Oregonian he hopes the district can work with Faces for Change to strengthen existing anti-bullying efforts. According to OPB Radio, the GSA at Eastern Oregon University has also vowed to step up its outreach efforts, while encouraging students to form a group of their own at the high school. Across the state in Astoria, the story of Bell’s tragic death inspired at least one person to come out. Jim Scheller, a 61-year-old member of the Clatsop Community College Board, told the Daily Astorian in a recent profile that Bell inspired him to open up about being transgender, so that young people would have more out elders. Project Believe in Me Founder Alex Horsey says Bell’s death is a powerful wake-up call. “It’s heartbreaking that Jadin’s story has become a reminder of the horrifying consequences of bullying, rather than a story of a young man overcoming adversity and a community changing its ways,” Horsey says. The high school-aged activist hopes his youth-run anti-bullying organization will help change that narrative by reminding his peers that they are not alone. Artists Sam MacKenzie and Kelly Keigwen are also spreading a message of love in the wake of the tragedy. The Vancouver couple were moved by Bell’s death to bring their ongoing art project, Love is a Radical Act, to La Grande on Feb. 16, leaving small hearts in public places, such as the high school and courthouse, and photographing them. 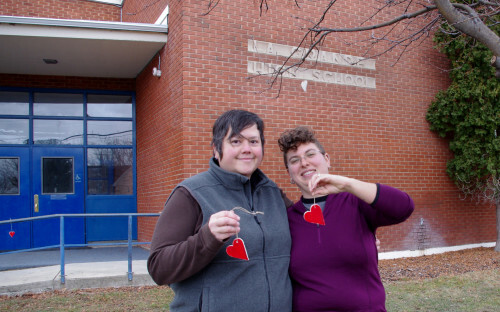 “We are bringing Love is a Radical Act to La Grande, and are inviting the community of La Grande to join us in our (he)art bombing, to show that love and acceptance is what will create a better world,” the couple said in a release. “The hearts are left hanging so that others may be reminded of the importance and beauty of love. For anti-bullying resources and support, visit Umatilla Morrow Alternatives (umalt.com), PFLAG (pnwpflag.org), and Project Believe in Me (projectbelieveinme.org). If you need someone to talk to now, visit The Trevor Project (thetrevorproject.org) or call the hotline at 866-488-7386. To learn more about Faces for Change, watch for an interview with co-founder Bud Hill on our blog. Previous Ponderlust: Can you see me now?